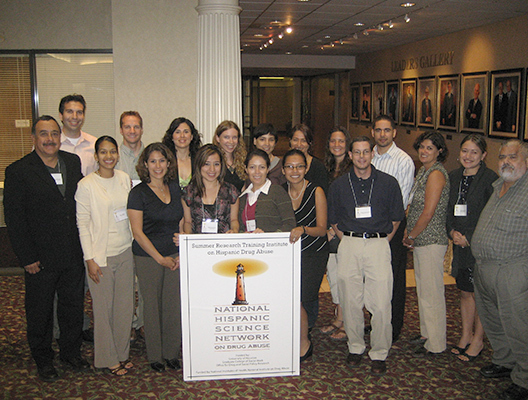 The institute is supported by grant R25DA026401 from the NIH National Institute of Drug Abuse. 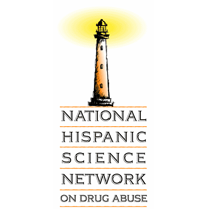 We gratefully acknowledge the support of the National Institutes of Health (NIH), the National Institute of Drug Abuse (NIDA), the National Hispanic Science Network, and the University of Southern California. 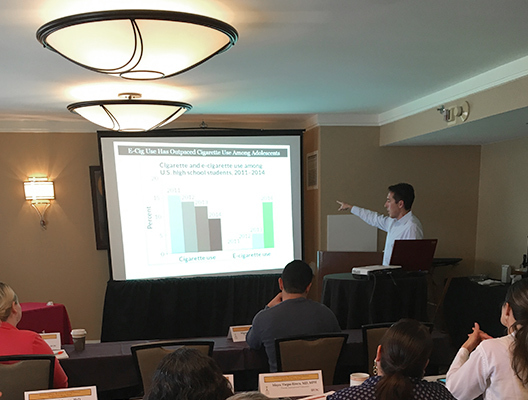 The Interdisciplinary Research Training Institute (IRTI) promotes the career development of pre-doctoral, post-doctoral and early career scientists interested in conducting research on drug abuse among Hispanics. While drug abuse in the United States continues to have a disproportionate impact on ethnic minorities, particularly Hispanics, the number of researchers studying the problem remains relatively small. Moreover, few training and research centers exist that focus on current drug abuse issues among Hispanic populations. We aim to ensure an infrastructure of constant support for fellows to conduct, present, publish and acquire funding for National Institutes of Health (NIH) research. The institute provides three core activities to research fellows: training, mentoring and networking. Visit the program overview page to learn more. 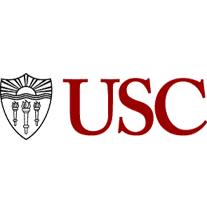 As the institutional home for the IRTI, USC welcomes you as the next generation of drug researchers and the field looks towards your future leadership and innovation. Congratulations to Dr. Miguel Cano ’12 on his K01 award! To learn more about Dr. Cano, click here. Manuel Cano Moreno ’18 successfully defended his dissertation. Congratulations! Click here to learn more about Manuel. Congratulations to Kevin Uribe ’18 on his F31 award! To learn more about Kevin, click here. Dr. Jaime Arredondo Sanchez Lira ’18 began a new Postdoctoral Fellow position at University of British Columbia in Canada. Congratulations! For more information about Dr. Arredondo, click here. Congratulations to Dr. Diana Sheehan ’17 on her K01 award! To learn more about Dr. Sheehan, click here. Tara Perkin ’16, Dr. Eden Robles ’16, Vanessa Torres ’17, and Dr. Manny Ocasio ’17 all presented at the 2018 Society for Prevention Research Conference in Washington, DC. Congratulations! Click here for more information. 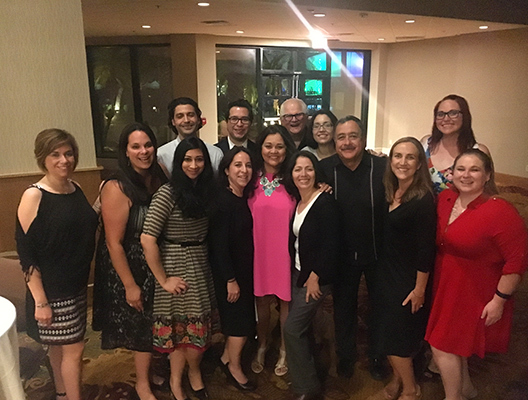 Congratulations to Dr. Oralia Loza ’13 on her tenure and promotion to Associate Professor at the University of Texas at El Paso! To learn more about Dr. Loza, click here. Dr. Mayra Vargas-Rivera’s Epidemiology Hookah Lab was featured in a newsletter from the Association of Schools and Programs of Public Health! Congratulations! To learn more about Dr. Vargas-Rivera, click here. Congratulations to Dr. David Cordova ’13 on his R03 award! To learn more about Dr. Cordova, click here. Dr. Robert Duran ’11 was awarded tenure at University of Tennessee Knoxville, Department of Sociology! Congratulations! To learn more about Dr. Duran, click here. Congratulations to Dr. Miguel Pinedo ’16 on his new Assistant Professor position at the University of Texas at Austin, Department of Kinesiology & Health Education! To learn more about Dr. Pinedo, click here. Congratulations to Dr. Oswaldo Moreno ’16 on his new tenure track Assistant Professor of Psychology position at Virgina Commonwealth University! To learn more about Dr. Moreno, click here. Dr. Elma Lorenzo-Blanco has accepted an Assistant Professor position in Human Development and Family Sciences in the School of Human Ecology, College of Natural Sciences at UT Austin! Congratulations! To learn more about Dr. Lorenzo-Blanco, click here. Congratulations to Dr. Robert Duran ’11 and Dr. Oralia Loza ’13 on their collaboration and recent publication Exploring the Two Trigger Fingers Thesis: Racial and Ethnic Differences in Office Involved Shootings! To learn more about Dr. Duran, click here. To learn more about Dr. Loza, click here.